Syn. : Polyblastia vouauxii B. de Lesd., incl. var. charticola B. de Lesd. 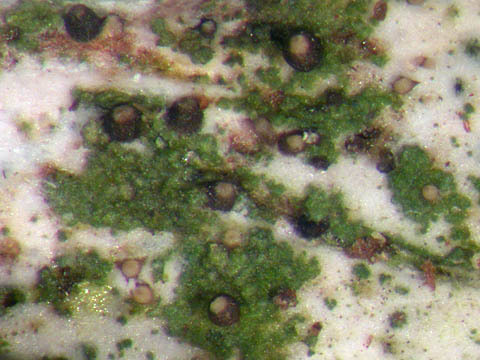 Terricolous, over mosses and plant debris, also on leather and paper, in dunes and over calcareous rocks. Belgium: Mar. : RR, Mosan: RRR. France: Mar. : R (1910, type locality), Lorr. : RRR. Lit. : BDL1: 259, L8: 13-14, Zschacke (1934: 503).